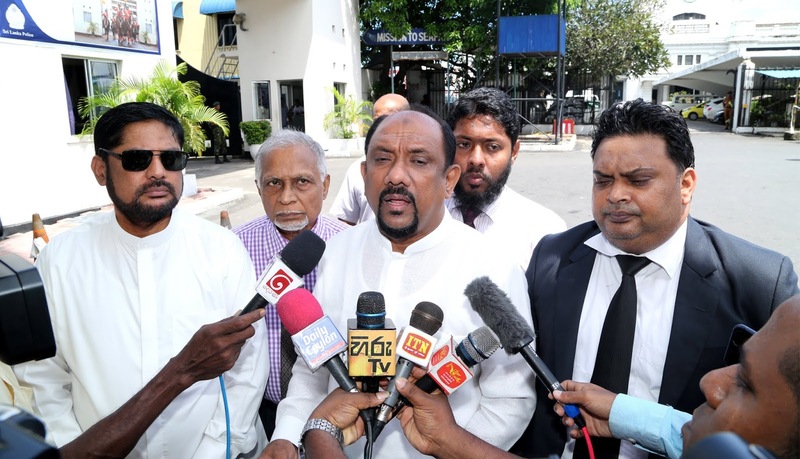 The All Ceylon Makkal Congress (ACMC) has lodged a complaint with Colombo Police HQ on the alleged plot against its leader Rishad Bathiudeen MP (Minister of Industry and Commerce) on 23 October. ACMC Parliamentarian Ameer Ali MP (and Deputy Minister) and Party Secretary S Subairdeen lodged the complaint on the morning of 23 October. Speaking to the press after their visit to Police HQ, MP Ameer Ali said that official action should be taken on alleged plot (reported in the media) to assassinate Leader of ACMC Rishad Bathiudeen. Yours Sincerely –S Subairdeen (ACMC General Secretary) and MSS Ameer Ali (ACMC Chairman, and Deputy Minister of Fishery, Aquatic Resources).